[Gulfcoast Robotics] M3 Stud Screw-In thermistor 100K NTC 3950 - drop in replacement, works for any China 3D Printer extruders - Anet, Wanhao, Maker Select etc. 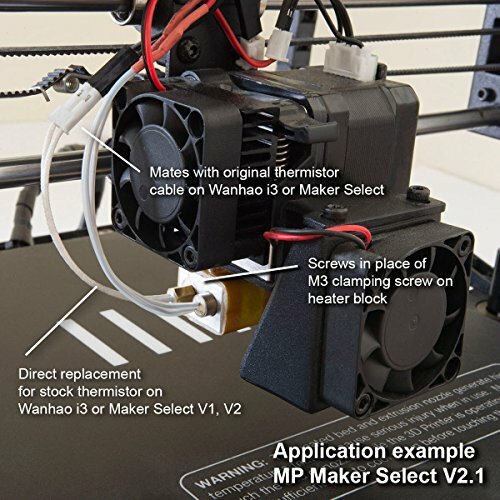 Product prices and availability are accurate as of 2019-04-20 20:34:54 UTC and are subject to change. Any price and availability information displayed on http://www.amazon.com/ at the time of purchase will apply to the purchase of this product. New 2107 Version with working temperature up to 300C. 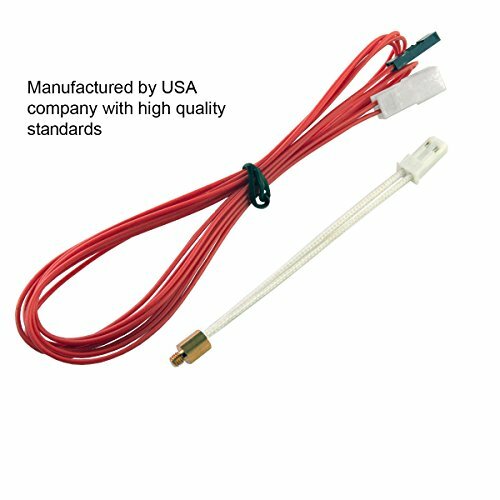 Leads insulated with fiberglass, thermistor glued with 600C rated ceramic compound. Screw-in Thermistor based on widely used NTC 3950 100K thermistor. Hex brass body with M3x0.5 threaded stud allows you to easily screw the thermistor into a M3 hole with zero chance of it falling out halfway through a print. 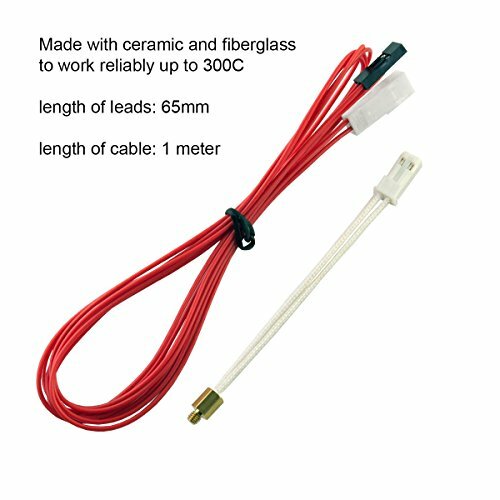 The thermistor leads are insulated in fiberglass Tubing, 2 Pole JST Style Connector is attached to the leads ends. 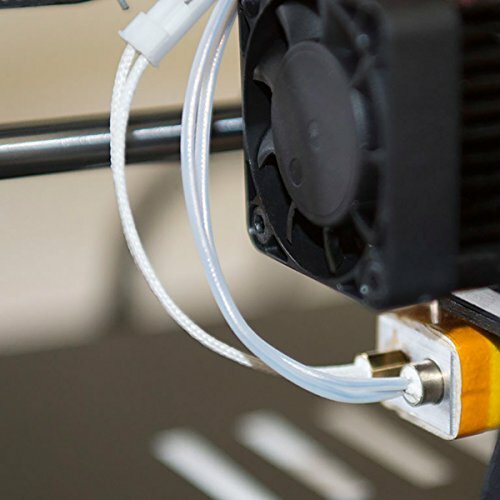 Connection cable with mating JST connector for connecting with 3D printer electronics is included. Thermistor glued in housing with high temperature 600C rated ceramic glue. Maximum allowed temperature for prolonged time is 300C. 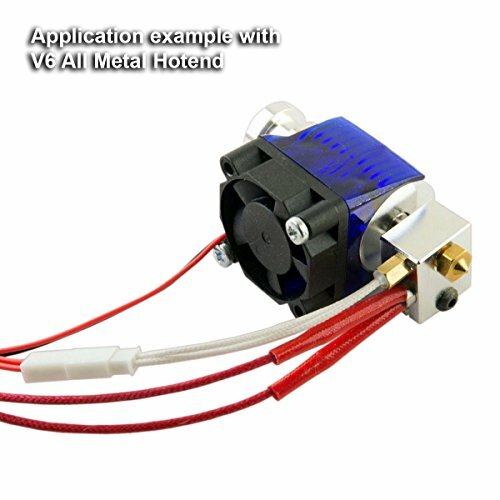 Compatible with V6 hotends and many other types of hotend and extruders with M3 threaded hole in heater block. 1 x NTC 3950 100K Stud Modular Thermistor with HEx body and M3 Stud. 1 x JST Male Connector.